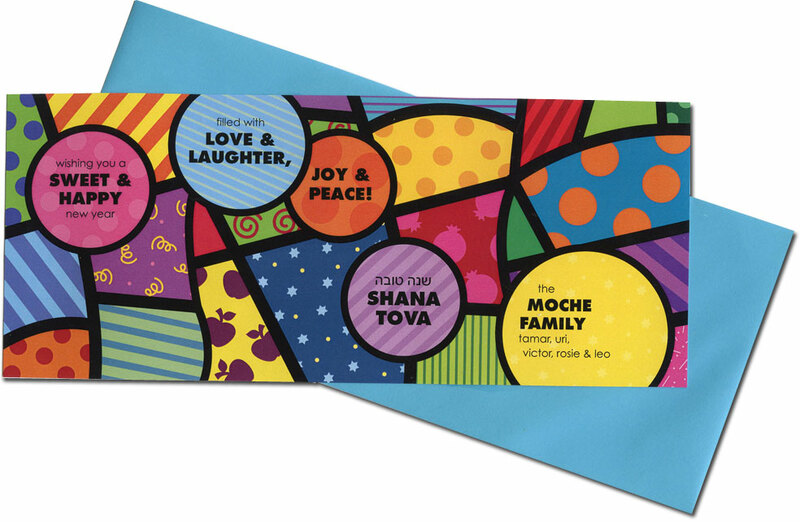 This flat printed card uses vibrant colors and playful patterns to represent a sense of joy that the new year brings. The bright color palette and whimsical design are sure to bring a smile to your family and friends. What a wonderful way to welcome the coming new year. Your signature lines will be formatted like the sample: The name of the family will be written in bold/call caps and first names will be written in lowercase. If this format is not followed, then only the lower case style (not bold) will be used. 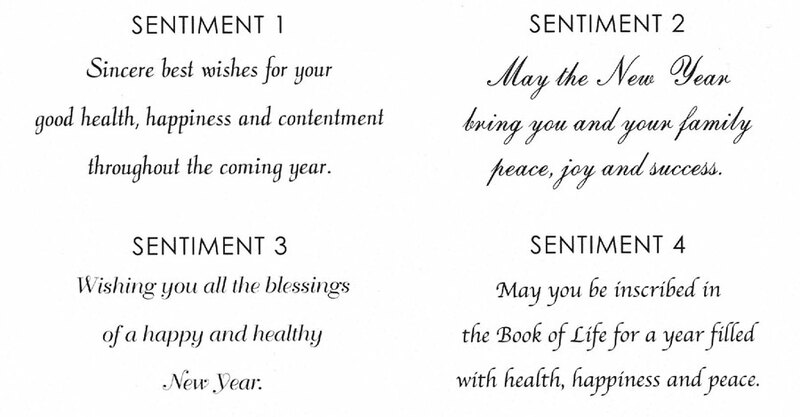 Your greeting and signature will be Flat printed using ink as shown. Sentiment is only as shown. Optional Aqua envelope shown. White envelopes are included in the price of the card. You can change to the envelope color shown or any other available envelope color for an additional charge.